The former residence of Prime Minister William Gladstone sits at the very heart of the capital, overlooking St James’s Park, Whitehall and the Mall. Described as “one of the greatest terrace houses ever built in Britain” and one of London’s finest Georgian treasures. Constructed during the late 1820s and early 1830s, the Roman Classical styled terrace was conceived by architect John Nash with two aims in mind: to provide good views of St James’s Park for residents and to provide an impressive backdrop to both the Royal Park and the Mall. The British Academy moved its headquarters to the building in 1998. The British Academy moved to this distinguished building to extend its work encouraging academic excellence by funding research and furthering discourse and innovation in humanities and social science subjects. With 10 flexible and versatile event spaces, very traditional and elegant in style and all offering an abundance of natural daylight with amazing views over The Mall & St James’s Park or Waterloo Place, 10-11 Carlton House Terrace provides a perfect setting for your event and consistently maintains a high standard of service. 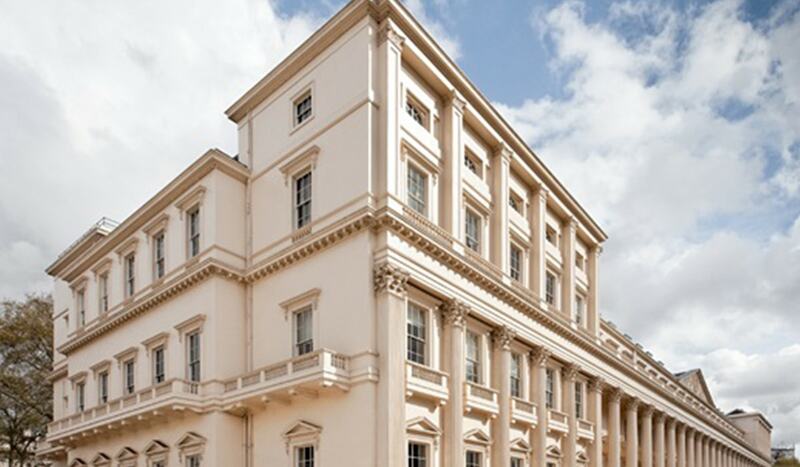 To discuss how we can transform your celebration at 10-11 Carlton House Terrace, get in touch.